Owners of diabetic cats need to be aware of a syndrome in which their cats are no longer diabetic. While that sounds like good news, it rarely is, for several reasons. Maintaining low carbohydrate density in the diet is important in controlling diabetes. First, this is not a predictable syndrome. One never knows when it is going to happen. It happens in but a small percentage of cats and there is no way to know which cats will be affected. Second, it’s not a permanent change, and reversion to diabetic status is just as unpredictable as the former switch was. Causes for this problem are not clearly defined. Endocrinologists agree that the first step is for the Beta cells in the Islets of Langerhans, embedded in the pancreas, to resume producing insulin. Perhaps a time period of our providing insulin gives them a rest. After all, it is widely believed that diabetes results when the Beta cells are exhausted. In some cases perhaps capacity for insulin production still exists; the cells are merely tired, not exhausted. A recuperating period then allows insulin to enter the bloodstream again, processing blood sugar (glucose) along with the insulin we have provided, dropping blood sugar levels to a dangerous, even deadly level. Observed, these patients will exhibit predictable signs in this order: lethargy, vomiting, loss of consciousness, seizures and death. If you are fortunate enough for the episode to occur when you can see your kitty entering it, you can administer highly concentrated sugar solutions, such as Karo syrup. Of course, this option is viable only in awake cats. If you find your cat comatose there is no time to lose. Take him to the nearest animal emergency hospital for intravenous glucose and fluids administration, along with other therapies. Be prepared that cats who survive this syndrome take several days to get back to normal. Once the emergency is over, the waiting game begins. When will those Beta cells become tired again and quit producing insulin? Days, weeks or months may pass, but relapse will occur. Watch for the signs you observed when your feline friend was first diagnosed: change in appetite (usually increased), weight loss, increased thirst combined with more urine in the litterbox. That’s the evidence that tells you to call your pet’s doctor for an appointment to begin the regulation process again. Diabetic Cats-How Smart Are They? I have a Tonkinese cat that was diagnosed with diabetes. I have her on Basaglar (glargine) and she is doing very well. I have had the curve run on her and an A1C and both are showing good to normal results. I noticed a bit more pee after she had been on 2 units am and pm so it was increased to 3 units am and pm and ran the A1C with some great results. Watch for UTIs and food best for her is low carb. 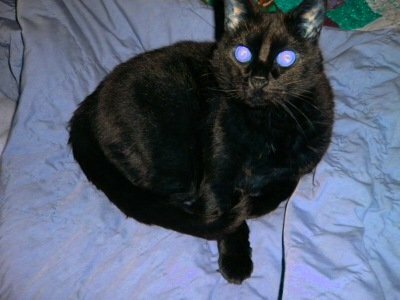 Burmese cats have a predisposition to diabetes. Tonkinese are a mix of Burmese and Siamese. She has so much energy now at 12. Thanks for your response Dr. Randolph. I guess we were more in agreement than not I suspect. As for the BG curves, I performed those at home as well as they are more accurate here than at the vet’s office due to the stress that it poses for my cat raising the BG artificially. I took the BG reading every two hours and recorded it in his spreadsheet. I performed this about once every 5-6 weeks to see how he was reacting to the dose we were giving him, particularly in the early days. It took from May to November to get him into remission with a good canned food only diet and the right amounts of insulin for the specific times. As his pancreas “woke up” a bit, I reduced the dose and then one morning woke up to a reading of 100 on the nose and from there, he needed less and less insulin because his numbers improved on their own. I am thrilled that he is in remission although I am aware that it could be fleeting and that he could relapse so I still test him every other day. I pray it lasts a good long time if not forever! I’m with you, Joyce, sending up a prayer for continued remission! Dr. Randolph: We had a cat that went through exactly this scenario, and he almost died due to low blood sugar. Fortunately, we were at home, gave him Karo syrup right away (which we bought along with our insulin – fortunately we did our homework by reading sites like yours!). $600 later and a lot of panic and our cat was out of immediate danger. Here is some additional details that might help other cat parents learn what we did the hard way. Our cat was on prednisolone for diarrhea, arthritis, and several other troubles. Apparently corticosteroids can complicate diabetes regulation (Dr. Randolph can explain the details of how this works better than me). With our cat Spenser, he went in after experiencing the usual symptoms of high blood sugar. Well, we got it under control using a twice daily dose of insulin per our veterinarian’s recommendation. After about 2 months, Spenser had the aforementioned hypoglycemic episode. Our advice for any parent of a cat on insulin is ALWAYS test your cat before you inject. [SEE CAVEAT IN DR. RANDOLPH’S RESPONSE, BELOW] You can buy a blood glucose meter that uses a tiny, tiny drop of blood down at your local Wal-Mart or mega retailer for less than $20 or so. The same meter used on people is what my local veterinarian uses – nothing fancy or special required for cats. Learning to prick your cat’s ear is simple and testing is cheap insurance, plus it’s invaluable data for both you and your veterinarian. You can find videos online of how to do this,[SEE CAVEAT IN DR. RANDOLPH’S RESPONSE, BELOW] and with a little practice and training (for both you and your cat) it becomes routine. As Dr. Randolph noted, cats can become diabetic and then go into remission multiple times, and you have to monitor and react accordingly. My opinion is that you really need the kind of regular monitoring you can only do at home to provide proper care. I wish more veterinarians would teach basic techniques like this to help owners and doctors complement each other better. My wife and I are very resourceful and inventive – we suggested all of this to our veterinarian only after learning how they did it. Yes – not everyone can do this, but for those who can it’s a huge advantage in my opinion. Add a baby scale that weighs your cat in 1 or 1/2 oz increments and an ear thermometer [SEE CAVEAT IN DR. RANDOLPH’S RESPONSE, BELOW] to take a temperature and you have some simple, basic tools to help you and your veterinarian keep a close watch on your pet’s health. Eric makes some good points, but these are the caveats: 1, The information a $20 glucose meter gives you HAS to be taken with a grain of salt. We use an Alpha TRAK and paid about $100 for it. Even it has limitations one needs to understand. For example, extreme readings are often exxagerated so that diabetic people and pet owners will pay attention to those readings. I don’t have any problem with someone testing his cat or dog at home, but he needs to perform the test frequently enough to know what to expect from the meter. Furthermore, a $20 meter isn’t going to give you much reproducability. In other words, if you take ONE blood sample and perform TEN glucose levels on it you will likely get a wide range of readings. IF someone is going to perform blood glucose readings on his pet at home I would suggest investing in the AlphaTRAK. 2, I would limit my testing to a couple of times each week AND ANY time my pet did something different, such as a change in water intake and output, and/or appetite. Testing too often could easily make a pet weary of coming to his owner. 3, Ear thermometers are not very reliable in pets, but if you take your pet’s temperature regularly with it and get reproducible results, what REALLY counts is not the absolute number, but the number you EXPECT or get VARIATION FROM on your individual pet. I respectfully disagree with you about the Alphatrack being necessary for cats. You can use a good brand human meter and get reproducible results. I calibrated mine at my vet’s office several times by using the same blood on his meter and then on mine and each time it was about 20 points lower on mine than his Alphatrack so we know that mine reads lower. The strips are MUCH cheaper for a human glucose meter than the Alpha track. I also respectfully disagree with only testing a couple of times a week. You would never give a child a shot of insulin without knowing their BG levels, would you? I would NEVER shoot my cat without first knowing where his level is. I would not ever risk a hypo. My cat actually goes to his testing spot at the appropriate time without prompting because I give him a treat and he knows it. He gets a piece of freeze dried chicken and he loves it. His ear gives up blood easily and he doesn’t even flinch. My cat is now in remission due to my diligence and my vet is totally onboard with daily testing. Good afternoon, Joyce. After reading your comment I felt we were more in agreement than not. Your phrase, “good brand human meter and get reproducible results” highlights the problem. You probably started with the concept of getting a “good” meter and knew to look for “reproducibility,” which can also be termed “consistency.” Not everyone knows to look for that, or to use comparison to a standard to determine just how good or bad one’s results are. For people without that capability, the Alpha TRAK solves the problem. Of course, we certainly HOPE that the clinician explains to the pet owner that the Alpha TRAK has limitations, too. For example, when we are performing a glucose curve, we often draw a blood sample to have a reference lab give us the exact number, just as you compared to your doctor’s Alpha TRAK. As for frequency of testing, a lot has to do with each individual person’s capabilities and tolerance, as well as each patient’s tolerance. Your kitty is one extreme, while we have other diabetic patients from whom we’re lucky to get blood samples early in the regulation process and “fly by the seat of our pants” thereafter. I repeat: both examples are extremes. Your analogy to insulin administration in children lacks validity because people (of all ages) are omnivores, whereas we feed our diabetic dogs and cats strict diets to help smooth out peaks and valleys in their blood sugars. Your diligence has been rewarded with remission, and you are to be congratulated! Thank you for your comments and thank you for reading. You may have already noticed this, but we have an entire category on cat diabetes and one on dog diabetes. Diabetes is a challenging area of practice that I enjoy, so I write about it fairly often, all of which will appear with a category search found on the mid-lower right hand side of each page.